Build confidence by learning basic bike jumping skills and soon you can be blasting to the moon. Contrary to popular belief, there is more to jumping your bike than just riding fast and pulling up. 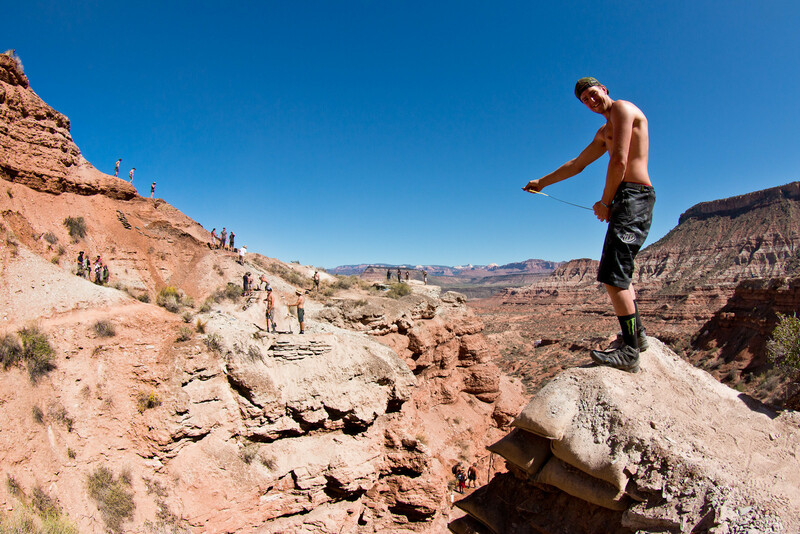 It's a fundamental skill that comes in handy even if you’re not planning on sending Fest Series-sized jumps or hucking the cliffs of Rampage. The average trail offers countless opportunities to "send it", whether hitting perfectly manicured jumps, sketchy natural gaps, or bouncing over roots and rocks. No matter the scenario, the same basic body movements are required. Intentionally getting the tires off the ground is daunting for a lot of riders and a lack of confidence is often the biggest barrier to progressing bike jumping skills Thankfully, just like with every aspect of bike riding, practice makes perfect and you can learn to jump safely with some helpful tips. We’ve curated a selection of how-to videos starting from the basic pumping movements required to harness your kinetic energy to more advanced airborne maneuvering so you can sample some air time. The basic bike movements, known as pumping, can be learned without even leaving the ground. Whether you know it or not, every time you ride your bike, you're controlling your bike by moving your arms, legs and body through pumping of some kind. 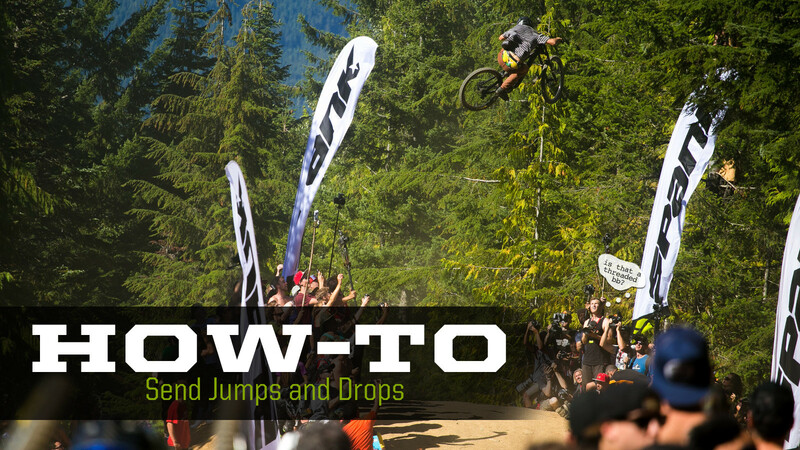 "Before you learn how to jump, you've got to learn how to pump," says Phil Kmetz. Pumping is a great way to get relaxed on the bike and build your confidence as you learn how your body movements translate into bike movements, which will be important in the air. Finding a local pumptrack or BMX track will get your pumping skills turned to 11 in no time. The ability to independently manipulate your front and rear wheel will help you overcome obstacles and remain in control during landings. The technique, whether off a curb or a 10-foot drop is the same; it's all about balance, control and confidence. Leaning back and lifting up the front wheel with control and lateral stability will ensure that the landing will be solid. You can start on flat ground by pulling up on the bars so the front wheel leaves the ground. If you notice that you lean to the left or the right, practice more and more until your aim is straight your your bike and body do not tip to either side. Once you have the technique mastered, take it to your local curb or that drop on the trail you've been wanting to hit. When you start feeling comfortable moving your body around on the bike, it's time to get airborne. 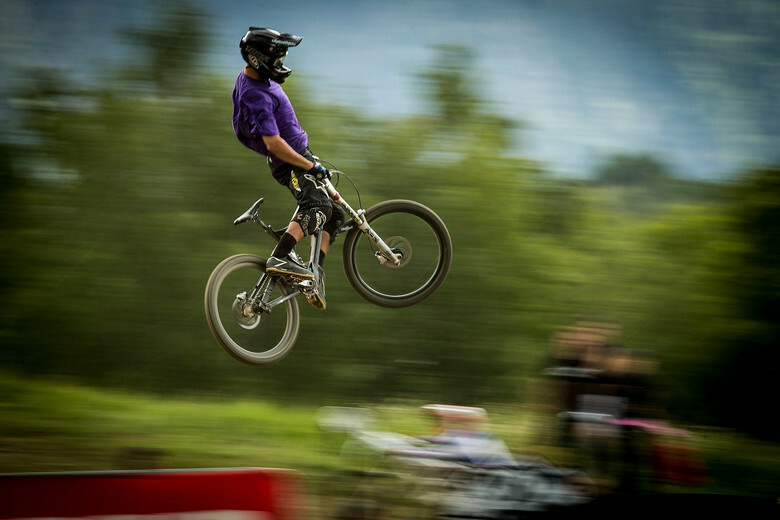 Fabien Barel, former World Champion downhiller, breaks down the movements and how to approach different types of jumps. Rocks, roots or rough terrain can be used to launch your bike into the air. Starting small and staying relaxed is the most important piece of the equation to a successful jump. Keeping arms and legs bent with lowered heels on the take-off of a jump will allow you to handle the bike direction change and control the attitude of your bike in the air. Wheels should generally remain level, especially while learning. As you get more advanced, you'll be able to gauge required speeds for gaps and you'll to point your bike down into the transitions and backsides of landings to smooth it all out. Once you've nailed the jumping fundamentals you can start building up your confidence on larger jumps. Tabletops are ideal for practicing because, like a lawyer, they'll protect you from a case (a "case" is slang for coming up short on a jump). If you're ready to move up to the challenge and you have friends who ride the jumps well, they can "tow you in", which means you follow them through the jump. This will allow you to safely learn accurate speeds to make the jump, which is crucial to gap-jumping success. Full suspension bike riders may need to double check their shock and fork settings before hitting bigger jumps. Soft suspension or overly fast rebound could result in control issues during take-off or landing. 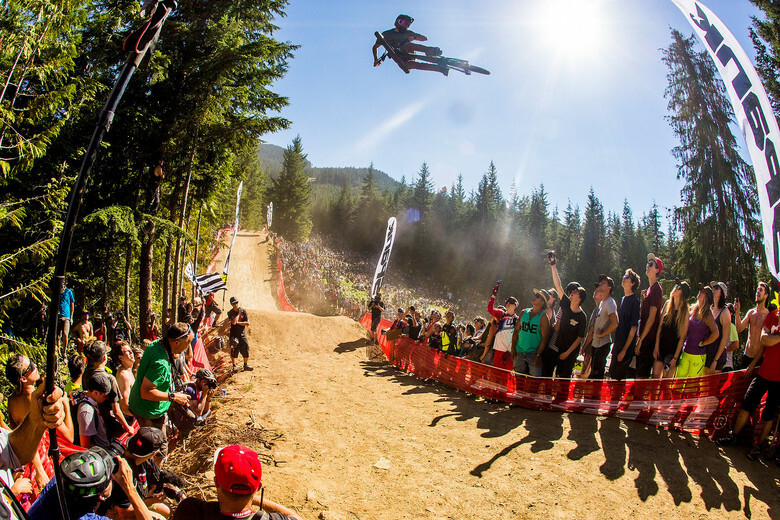 If you don't have access to epic bike parks and mountains of trails, don't worry, you can still polish your jumping skills. Look at your surroundings and improvise. You'll be surprised at how many potential jump spots are in your neighborhood and community. Additionally, there is nothing more fulfilling than building and hitting your own jump. Building jumps from dirt, with a shovel is back-breaking work but the exercise is worth its pain in experience and appreciation for what your local trail builders do. If you're the neurotic, perfectionist type, be careful because you may have just opened a can of worms you may never close as you'll constantly strive for dirt scultping perfection. Once you're confident getting in the clouds, you can style it up however you want. Watch and learn people, Bernard Kerr's class of style is now in session above. The better at jumping you get, the more critical of style you'll become. Keep the knees tucked in and avoid the stem baby, unless you're hamming it up for someone taking photos. When you are ready to leave the ground, start small and only progress onto larger jumps one you're confident in your abilities. In case of emergency, secure your oxygen mask first before assisting others and have a safe flight. I entered for the word bubbles. I stayed for gorge road. Thanks!